Also, I'm trailing behind in wrapping up our participation in Barbara's Laura Ingalls Wilder Reading Challenge which she hosted in February. 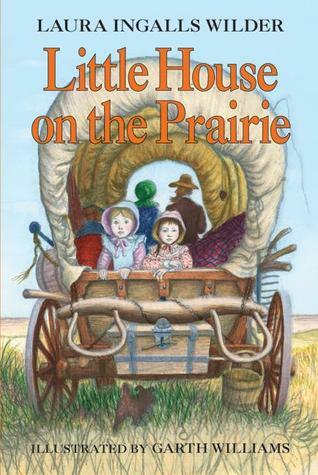 We started reading Little House on the Prairie in February. We just didn't manage to complete it before the month was over! We finally finished it this past Tuesday morning. Last year, also as part of Barbara's challenge, we read Little House in the Big Woods (linked to our experience) and really enjoyed it. I've been waiting all year to read Little House on the Prairie aloud with my oldest bookworm. I'd say we had even more fun this year than last year. Me: What was the hardest thing that Pa built? Me: Who is your favorite character and why? Bookworm1: Laura, because she was so funny. Me: What was the scariest thing that happened to the Ingalls family in this book? I didn't even have to ask Bookworm1 if he enjoyed this read. I know he did because he would ask me to read multiple chapters at a time. "Read the next one!!!" was an oft repeated request. We managed to stretch it out but we really did enjoy every single minute of it. 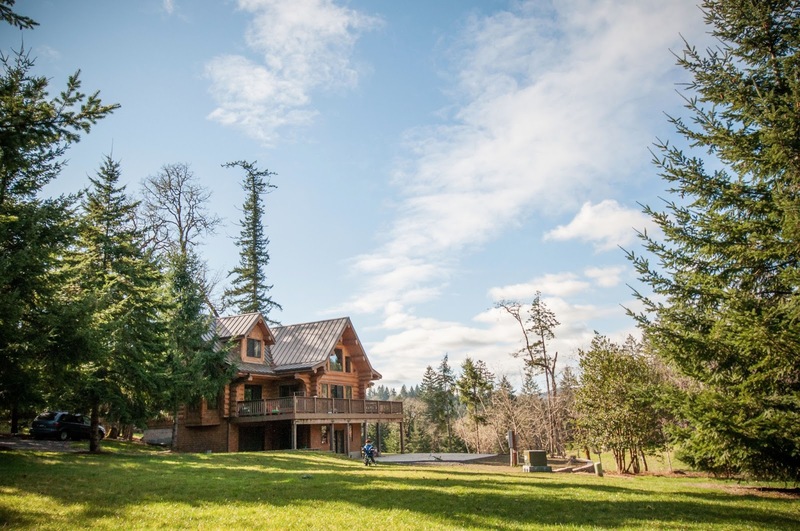 Lastly, I'll leave you with a picture of our house taken a few weeks ago - when the skies were blue and we were outside enjoying the beauty of the world. Very thankful for our glass windows when it's rainy and overcast though! Thanks, Barbara, for hosting this challenge again so that we could dive back into the Little House books. Such fun! I'm so glad you both enjoyed it! I do think it's helpful to explain the situation and feelings on both sides concerning the Indians, as you did, rather than skirting around it. It is hard to fathom how they did so much, like building a house, without the equipment we have today. Something else that came to mind just now was the importance of neighborliness. It wasn't just a social nicety, it was vital then. Pa never seemed to like being where they had a lot of neighbors too close, but enjoyed having a few good ones they could depend on and vice versa. I think you explained it well. I don't mind Ma's take on the Indians bc so many were so scared at the time...though she is mean about it....as you said, Pa balances her well. Those LIW books are just irresistible, aren't they? :). I remember feeling the exact way you do about the sheer volume of work it took just to live. I'm thankful for our modern conveniences, for sure! I think Pa was very likable, but I have read some criticism of him because of how he would just pick up and move with seemingly no concern about how the rest of the family felt about it. So glad you linked up today! Sigh. I love Little House. : ) We are almost done reading the whole series here. I think we just have These Happy Golden Years and The First Four Years to go. (Although I think we may have bailed on By The Shores of Silver Lake at one point, I need to check).